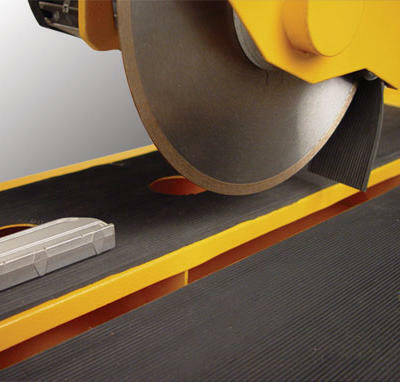 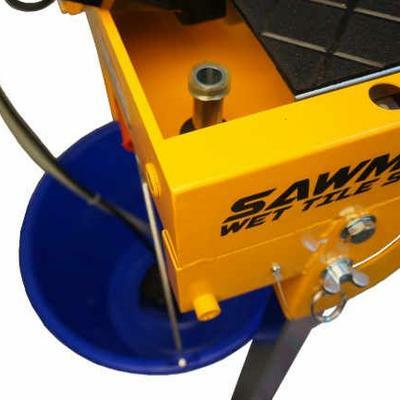 SawMaster’s top quality stone saw and tiling tools are available in a myriad of configurations for industry professionals in different segments of the stone industry. 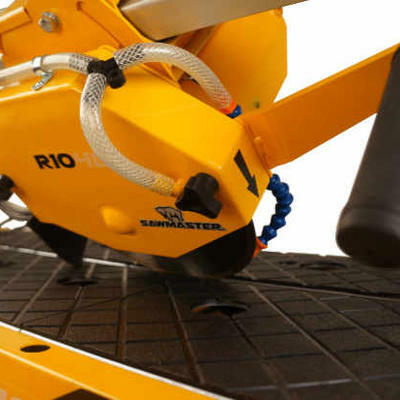 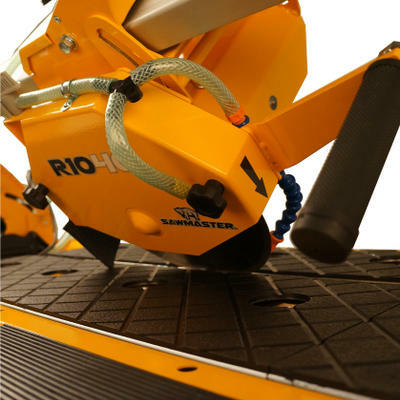 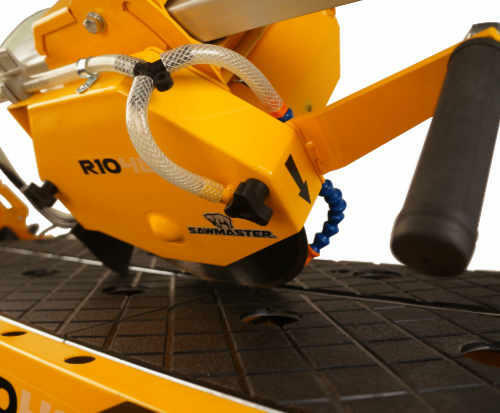 Unlike stationary saws offered by other manufacturers, SawMaster's stone saws can be deployed anywhere that work is required, both indoors and outdoors. 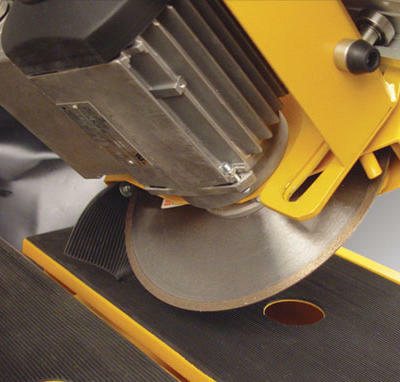 For over 20+ years, we have been setting new standards in the diamond tool industry by combining competitive pricing and high-quality products. 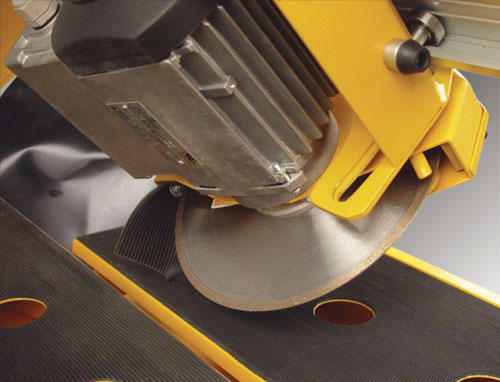 Our office is located in Corona, California, but we are able to service and ship our high-performing stone saws and other products to any consumer residing in the United States. 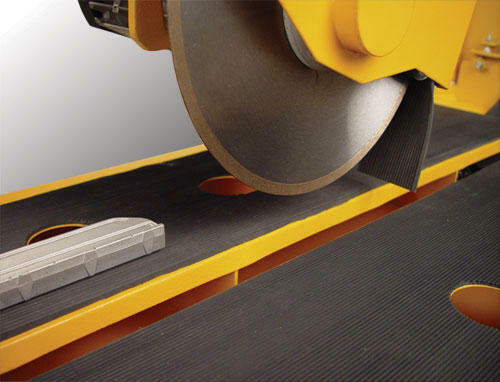 Our premium quality stone saws come in two flavors: traditional conveyer table saws for conventional cutting jobs and bridge saws for oversized jobs. 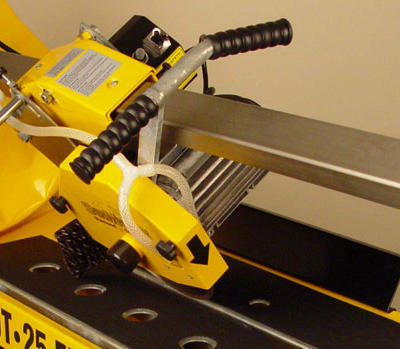 Regardless of configuration, these compact saws can be easily transported on or in between jobs sites. 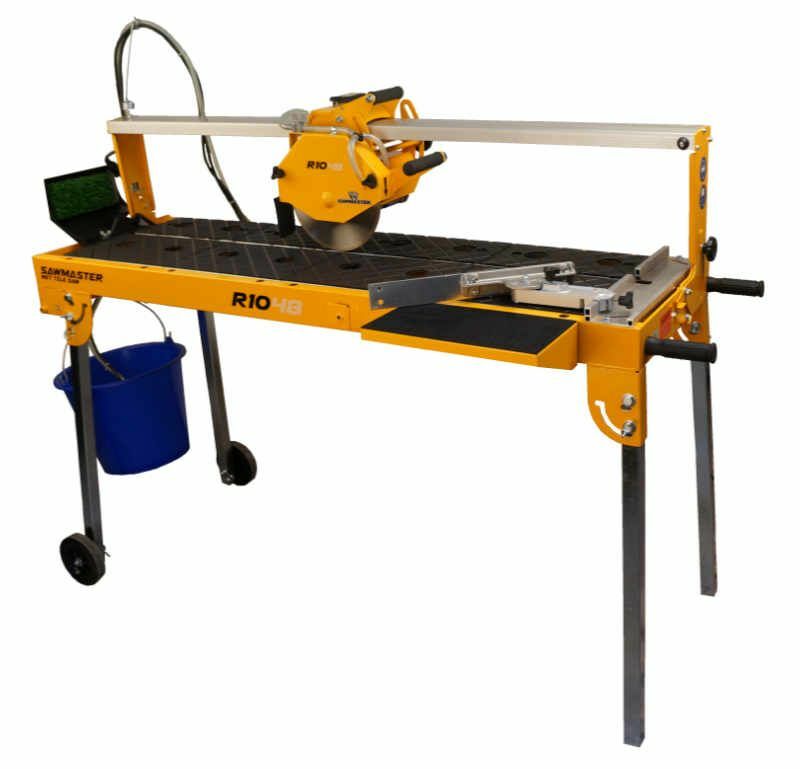 Our highly knowledgeable and experienced engineers have created each of our stone saws to be suitable for a variety of applications, ranging from thick marble blocks to large porcelain tile slabs. 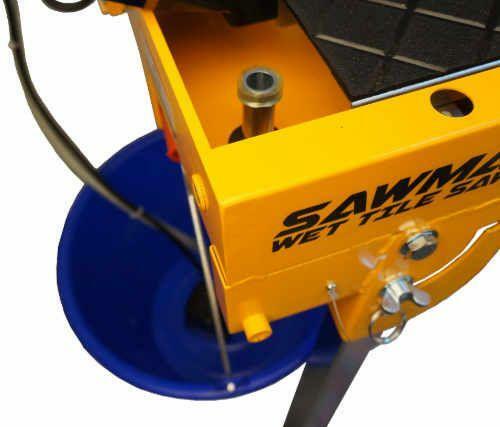 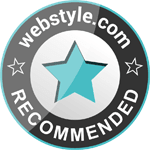 Here at SawMaster, we promise to deliver excellent customer service, affordable pricing and high-performance tools that are engineered with precision, care and the finest materials. 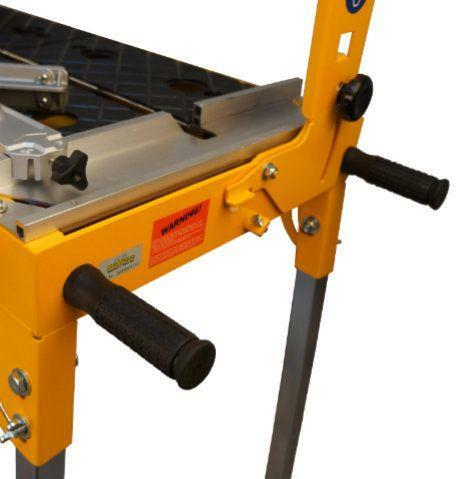 Whether you’re a professional tile installer or general contractor, you are guaranteed to find the accurate top-quality stone saw to execute your construction task well beyond your expectations. 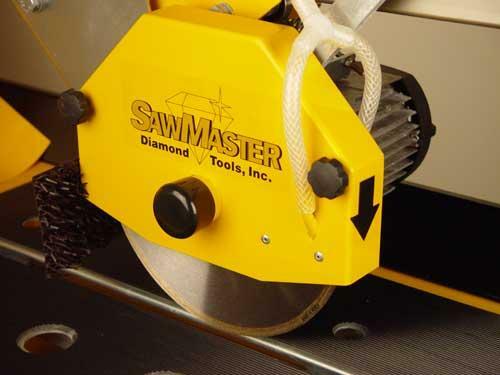 Contact SawMaster today! 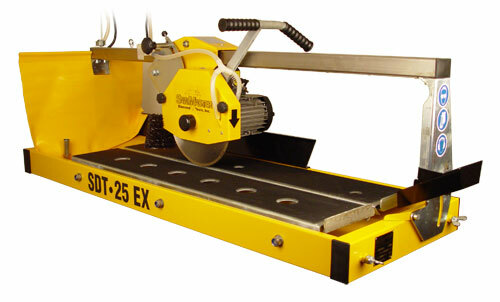 The SDT-25EX stone saw features a 10" blade capacity and a 1-1/2 HP motor to facilitate the cutting of large, hard materials like stone, brick and porcelain tile. 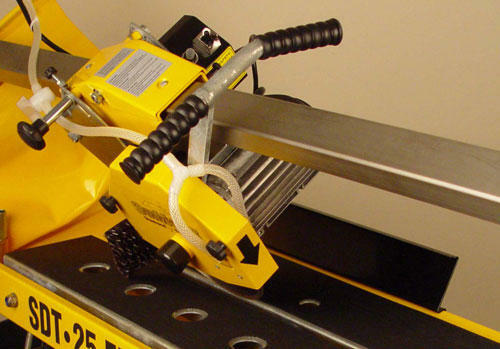 Spanning 55" in length, the saw is small enough to fit in conventional pickup trucks, while still being able to cut tiles up to 36" straight and 25" diagonally. 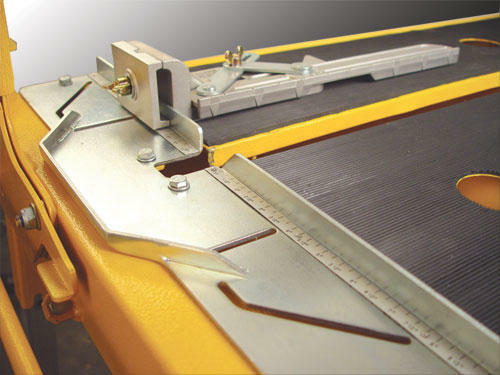 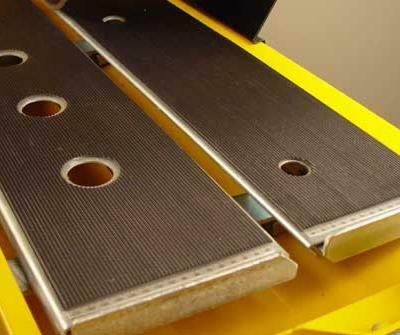 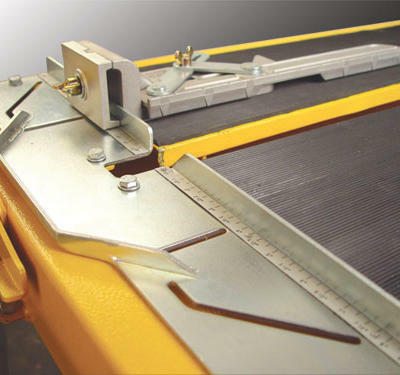 This model provides built-in support for miter cuts and excellent vertical clearance for deep plunge cuts. 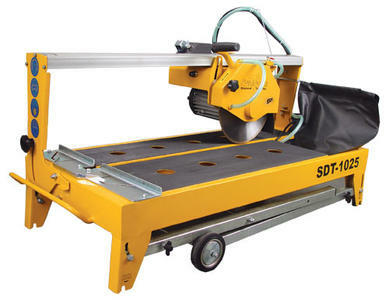 Diagonal Cutting 25" x 25"
The SDT-1025 is an affordable entry-level rail saw designed to fulfill the large cutting capacity needs of professional tile installers. 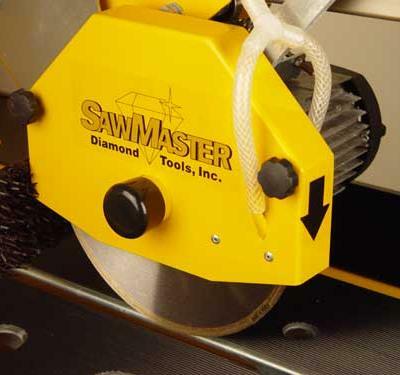 Equipped with a robust 1-1/2 HP induction motor and 10" diamond blade, the SDT-1025 can cut tiles up to 27" in length with remarkable ease. 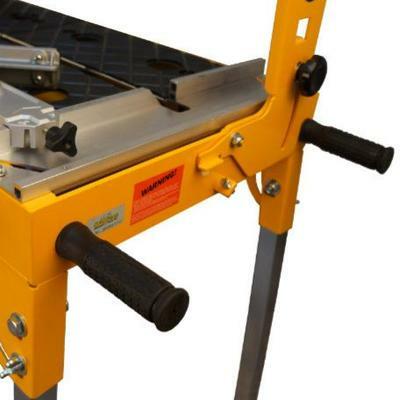 For added versatility and value, the saw also offers superb plunge cuts, miter cutting capability and an integrated folding stand for convenient setup and transportation. 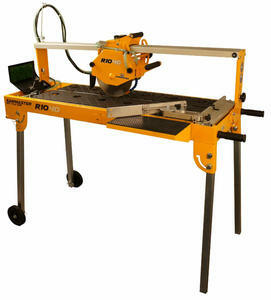 Diagonal Cutting 19" x 19"
The R1040 is a professional rail saw designed to handle large tile and stone jobs. 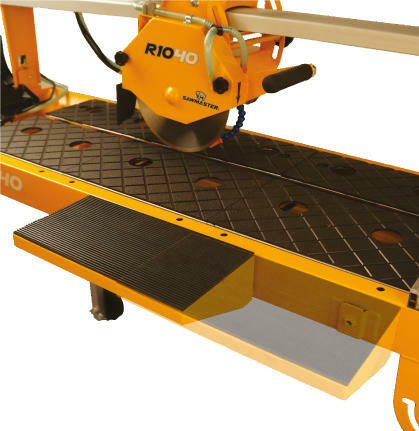 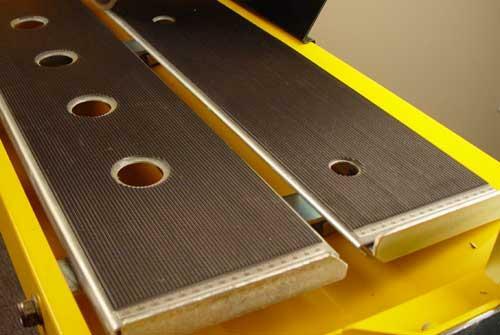 Its substantial cutting length of 40" allows it to cut tiles as large as 28" square on a diagonal. 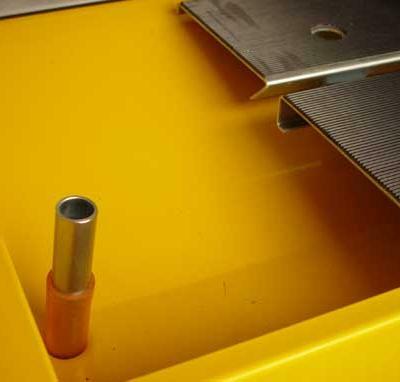 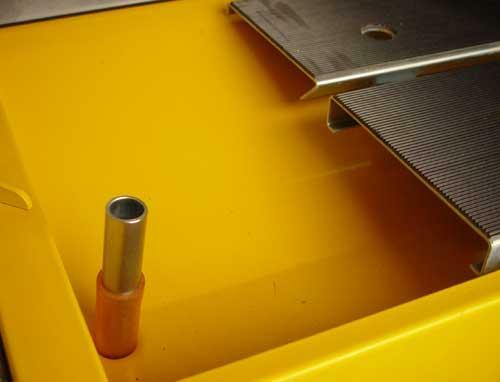 To ensure precision cuts on materials of this size, the saw comes standard equipped with a side extension table. 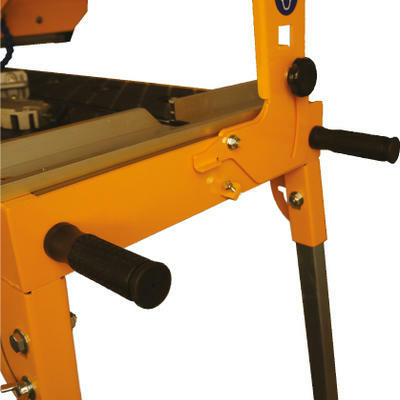 For added versatility, the saw is capable of performing plunge cuts and miter cuts and features an integrated folding stand. The R1048 is an extended version of the R1040 stone saw capable of handling even larger material while retaining all of its features. 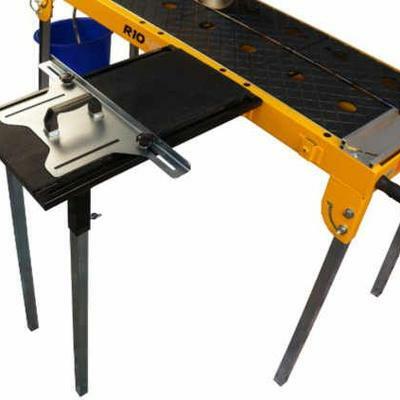 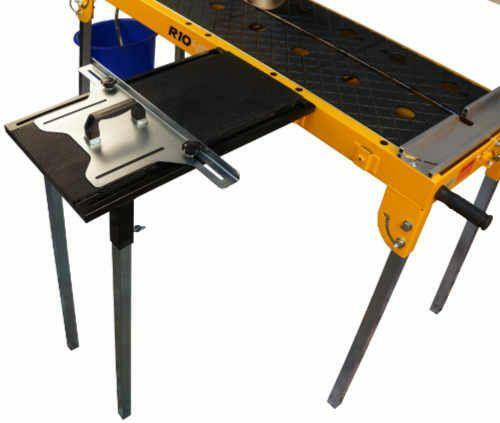 With the optional long side extension table, it can handle extremely wide material to make 48" rip cuts or diagonal cuts of massive 34" square tiles. 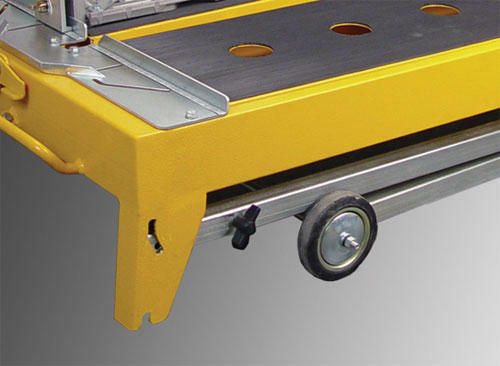 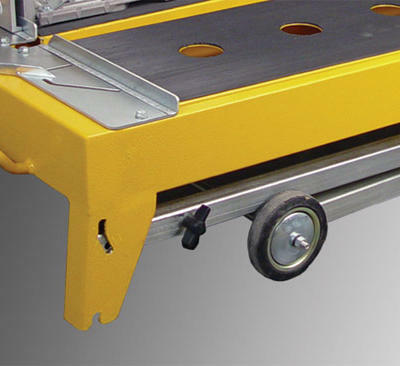 While the saw is longer it is still robust enough to handle being transported and can fit most conventional work vehicles without a problem.